USTelecom, joined by ITTA, WISPA and a diverse consortium of broadband companies and associations have launched the Broadband Mapping Initiative to more accurately map broadband deployment nationwide and close the digital divide. 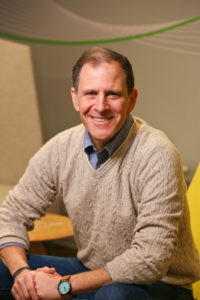 Beginning with a pilot program in Virginia and Missouri, the Initiative will result in the most sophisticated and detailed map of broadband availability in the nation, arming policymakers with granular data to identify where broadband service is lacking and better target scarce funding. In addition to USTelecom, the Broadband Mapping Consortium is comprised of individual companies representing providers of different sizes and technology types, including: AT&T, CenturyLink, Consolidated, Frontier, Riverstreet, TDS, Verizon, and Windstream. Universal access to broadband is essential to the country’s economic future, but the federal government’s efforts to map the availability of broadband still requires additional precision. Currently, the FCC collects deployment data from broadband providers by census block. Unfortunately, location data on homes and businesses too often are not accurately reflected in census block or other available data. This issue is particularly acute in less densely populated rural areas where census blocks are far larger than their urban and suburban counterparts. The Broadband Mapping Initiative is a pilot program to aggregate all locations in Missouri and Virginia, identify their geolocation, and create a Broadband Serviceable Location Fabric to identify locations that require access to broadband. Representing a major evolution in the way broadband service is mapped in the United States, the Broadband Mapping Initiative will harness the power of new digital resources, databases and crowdsourcing platforms, combined with existing provider service address information, to improve understanding of unserved/served areas. A vendor will conform address formats, remove duplicates, and using a geo-referencing tool assign a unique latitude and longitude to the actual building where broadband service is most likely to be installed. 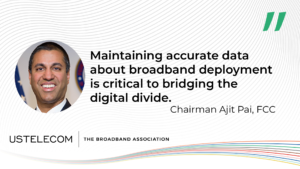 The comprehensive understanding of existing connectivity will result in better cost estimates, deployment time, and progress, and more effective targeting of funds to speed rural America’s access to broadband benefits including eCommerce, eLearning, and eHealth.